As if winters weren’t bad enough with the cold, snow and flu, now a snow plow comes along to turn your station’s manhole covers and spill lids into flying saucers or a pile of scrap. Either way, a sizable hole in the middle of your station’s lot does nobody any good. 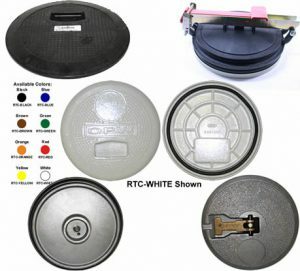 The Kennedy Company STOCKS a wide variety of replacement covers and we can even have them custom-made for those hard to find and/or obsolete manholes and spills. 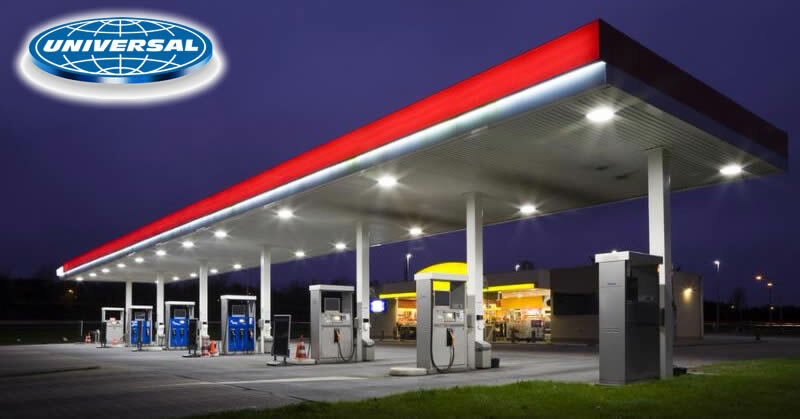 And just because you can’t find it on our site, doesn’t mean we don’t have it or can’t get it so by all means, please give us a call for those hard to find covers, lids or any of your other service station and refueling location needs! We carry ever major brand with many sitting on our shelves. We also deal with several manufacturers capable of fabricating replacements for those very old, obsolete manholes no longer supported by the manufacturer. Sealed, locking, different colors; whatever your configuration is, if we don’t have it, we can get it! Okay, so it’s not likely a plow will wipe out tank sump covers underground (that requires a special kinda cowboy behind the wheel of a plow truck!) 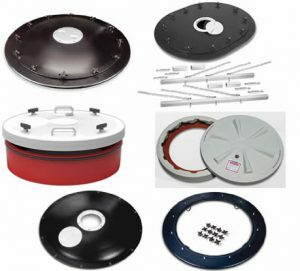 but winters are tough on all equipment and with so many compliance laws and regulations, containment failures are not an option so check out some of the available retrofit tank sump lids currently on the market. Unfortunately, environmental Hazards are located all over the forecourt, not just the fill area. By using a spill container, we can protect the environment at the fill location. But what about all the other tank risers, and access points? In a perfect world, every tank fill situation will go as planned and not a drop of fuel will hit the environment. Yet history shows that proper planning is needed for when things do not go as planned. The new EPA rules help make sure sites are checked and operated properly. But what happens when a tank is overfilled and the perfect storm arises? There are other access points to contend with that could leak petroleum directly into the environment. 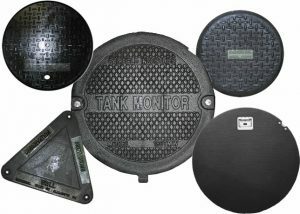 Here are three common tank access risers that need attention. 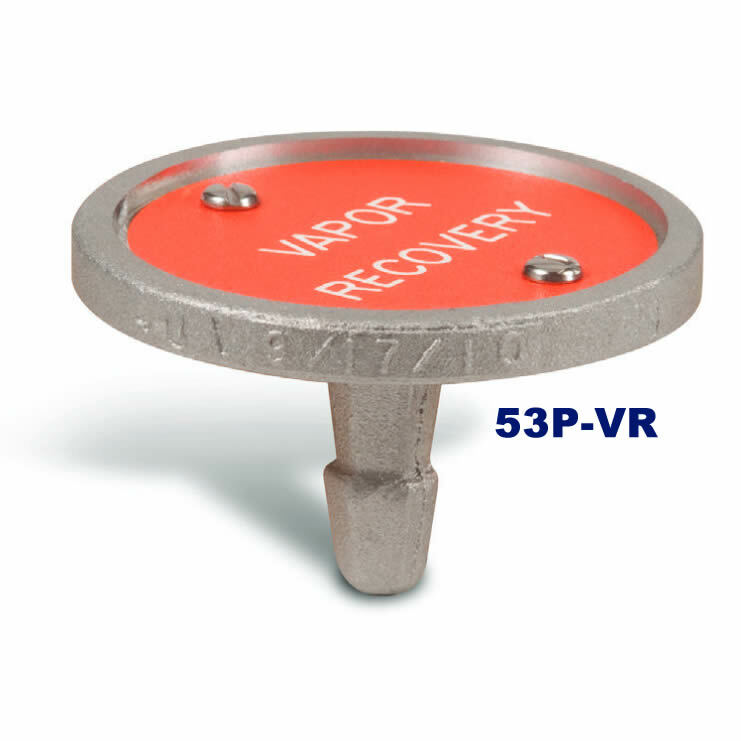 Vapor recovery risers. Typically, a spill container with no drain is the ideal solution. Eliminating the drain is ideal. There is less of a chance of water entering the tank with no drain. Tank Monitoring risers. Standard spill containers are not the ideal solution here. Using a tank monitoring spill container offers electrical conduit hookups while creating water tight solutions for incoming ground water and environmental protection from tank overfills. Stick Port Risers. Standard spill containers work well here. Like the vapor recovery container no need for a drain valve. Be sure to use a cap and adapter on the riser that is clearly marked “DO NOT FILL”. Installing a stick port flapper helps reduce vapors through the riser when removing the cap. Be sure to mark all of these spill containers clearly for their purpose. 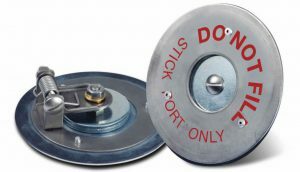 Marking the lids is not the only place you’d want to mark the container. Adding a concrete marker next to the unit is a safe bet. It eliminates the problem of the lids being crossed up and/or replaced with a non-marked lid. 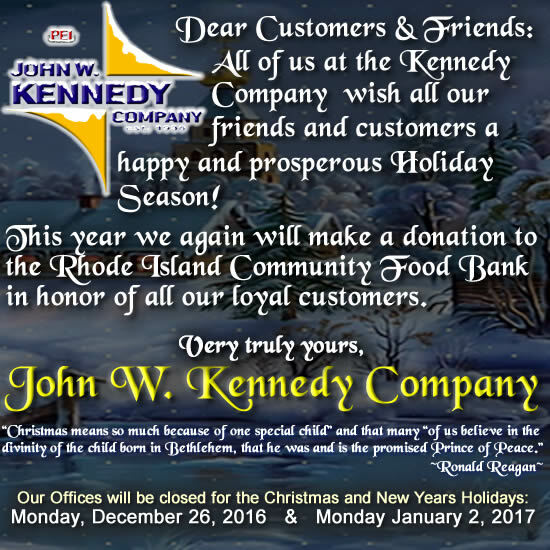 We thank you for your continued support and business and look forward to being part of your success in 2017! 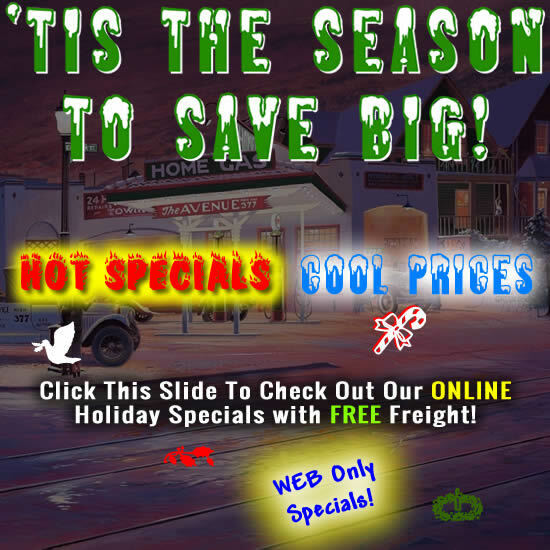 ‘Tis The Season To Save BIG! BUY ONLINE – SAVE BIG!! Not only will you save big on every day prices but enter the code FREEFRT* in the Coupon Code box on the Shipping Information page when you check out and we will ship all qualifying products for F-R-E-E! 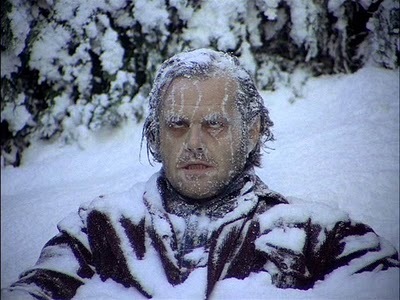 The temperatures may be falling but the specials are HOT, HOT, HOT!! Save big on select Service Station Essentials now through January 31, 2017 when purchased through JohnWKennedyCo.com and pay no shipping fees! And by all means, feel free to look around at all our other online offerings with ridiculous deals on overstock and closeouts up to 75% or more off on our Overstock Specials page. *Free Freight applies only for those qualifying products on the Web Specials page and limited to a maximum of (1) case quantity on nozzles. If you buy qualifying and non-qualifying products on the same order, we will remove freight charges for all qualifying products to reduce your overall freight charge but you MUST enter the coupon code FREEFRT. The shipping charges you see for any qualifying products when you check out online will be reduced/removed when we receive your order confirmation prior to the finalized billing of your credit card / PayPal account and prior to your order being physically shipped so what you see online for shipping charge WILL be reduced/removed! REMEMBER, you MUST enter the coupon code: FREEFRT when checking out on the Shipping information page to take advantage of the free freight offer. Feel free to contact us at 1.800.238.1225 with any questions about this offer. Are you managing your fuel inventory with as much rigor as your in-store inventory? Fuel inventory represents a major portion of your business’s investment, but most retailers do not track it as closely as in-store goods. This webinar will discuss the effect of fuel losses and variances on the profitability of fueling operations and what steps your organization can take to minimize them. Attend on Thursday, December 15th at 2:00 PM EST to learn how you could save your business money and more accurately account for your fuel inventory. Click This Link to Register Online Now. 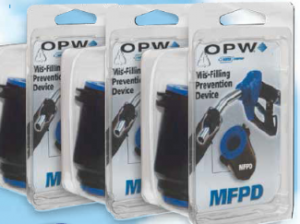 The OPW DEF Mis-Filling Prevention Device is now available for Truck Stops and Convenience Stores. There are countless vehicles not equipped with MFPD technology, and this device is required when magnetic DEF Nozzles are used. Provide your customer peace of mind by stocking the MFPD in your retail outlet. For more information, check out the official distributor bulletin. SAN FRANCISCO — Visa Inc. is giving gasoline retailers three more years to install EMV technology to process the new chip-based credit cards and debit cards. It is moving the automated fuel dispenser (AFD) EMV activation date from Oct. 1, 2017, to Oct. 1, 2020, according to a Visa blog post. San Francisco-based Visa said it is “attempting to proactively address marketplace realities and known challenges” in implementing the Europay, MasterCard and Visa rules.